Welcome Home! 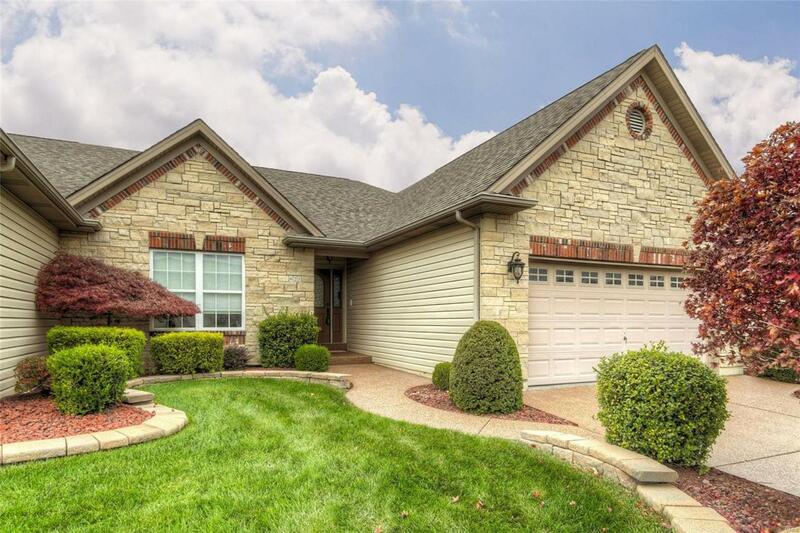 This elegant stone front, ranch style, villa features high end finishes and the ultimate in maintenance free, luxury living. 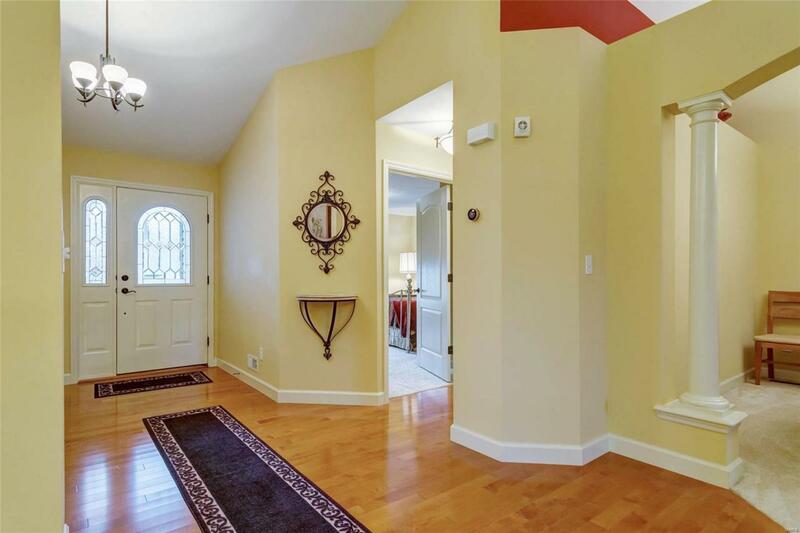 A formal entry foyer greets you with black iron spindles and hardwood floors. The home features 2 bedrooms and 2 full bathrooms on the main level, soaring vaulted ceilings, dining room with columns & plant shelves, gas fireplace flanked by windows, and a screened in deck. The chef in you will be delighted at the gorgeous kitchen with 42" cabinets, solid surface countertops, tile backsplash, pantry, and stainless steel appliances, all open to the breakfast room. 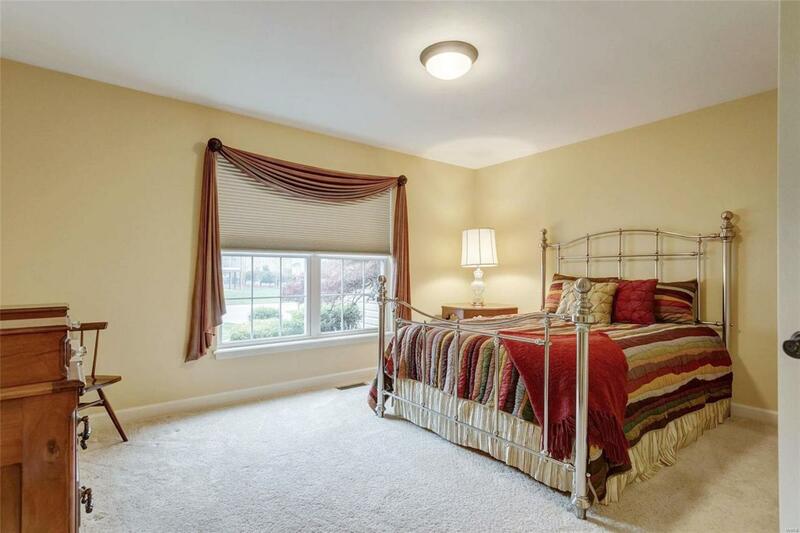 Luxurious master suite features a tray ceiling with custom crown molding, walk in closet & luxurious private bath with double sinks, separate tub and walk in shower. Convenient MF laundry room makes doing laundry a breeze. 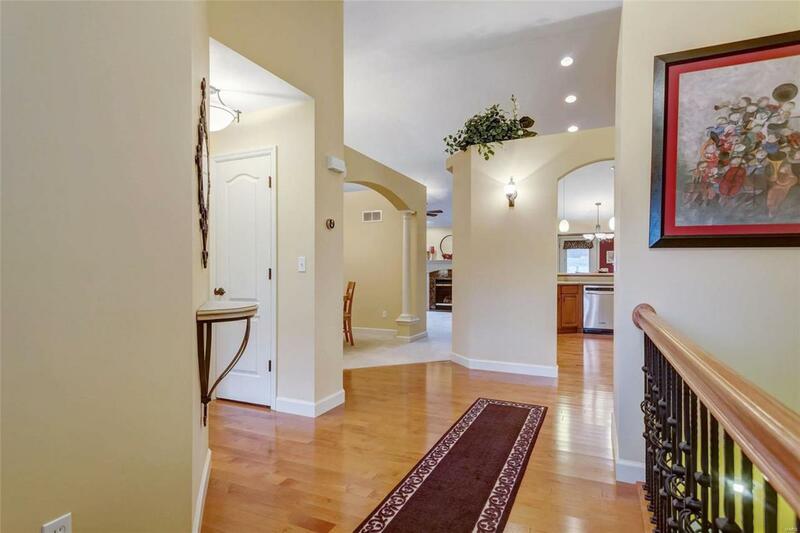 The lower level is finished with a kitchenette, fireplace, bedroom with walk in closet, full bath, office and family room that walks out to an exposed aggregate patio. Listing provided courtesy of Wyndcastle Realty. Listing information © 2019 Mid America Regional Information Systems, Inc.